Supporting an enterprise distribution on a given piece of hardware often requires getting additional information from the misbehaving system. In case of kernel crashes this means a crash dump. Some time ago I announced my intention to enable it on AArch64. The task was then taken over by my colleague Matthias Brugger, and dumping works out of the box in SUSE Linux Enterprise Server 15 on Cavium ThunderX2 systems. Let’s see how it works on the recently released Raspberry Pi 3 Model B+. First, I was using SLES15 RC4. I know it’s lame, because these images are not publicly available, but you can install an openSUSE Tumbleweed image with similar results. 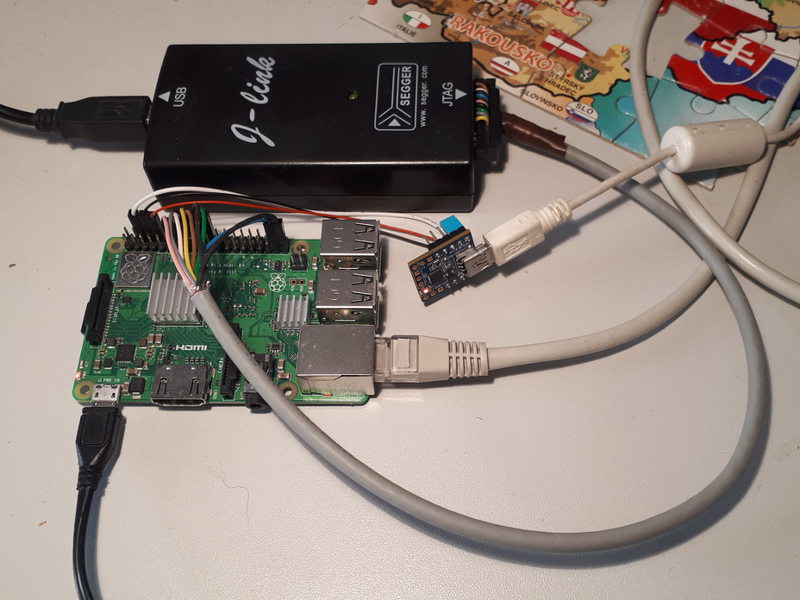 I copied the JeOS image to a suitable microSD card (instructions for Tumbleweed) and inserted it into my Raspberry Pi. The system booted just fine, ready to set up kdump using YaST. Click, click, done. So far so good. The system crashes immediately, producing a stack trace on the console. Last line reads: SMP: stopping secondary CPUs. Nothing more happens. Reboot the board by grounding the RUN contact. Third, let’s try the standard process: double-check that the crash kernel is really loaded by inspecting the corresponding sysfs file (/sys/kernel/kexec_crash_loaded), build kexec-tools from git, disable checksums, wire up a serial port, set up early console, max out log levels… No change. Sure, a crash dump would be helpful, but that’s exactly the thing that fails here. Thankfully, all ARM cores provide JTAG debugging. Time for some low-level debugging! 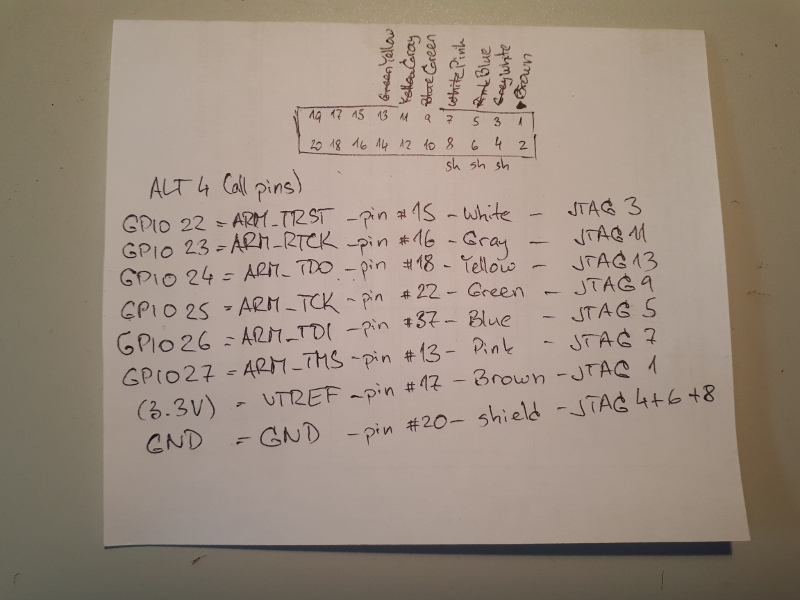 Some basic googling finds a tutorial on setting up JTAG with Raspberry Pi, but it is for version 2 in 32-bit mode. In other words, there is some fun left for us. My cable has only 7 wires, so I connected GND to the shield. Use an 8-wire cable instead. 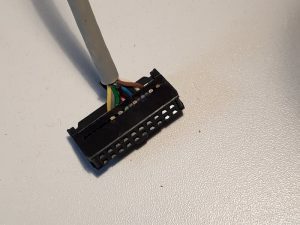 Or use a ribbon cable if you don’t mind messing with the unused wires. $_TARGETNAME.$_core configure -event reset-assert-post "aarch64 dbginit"
Reading symbols from vmlinux-4.12.14-18-default...Reading symbols from /home/tesarik/features/rpi-kdump/vmlinux-4.12.14-18-default.debug...done. Wow! 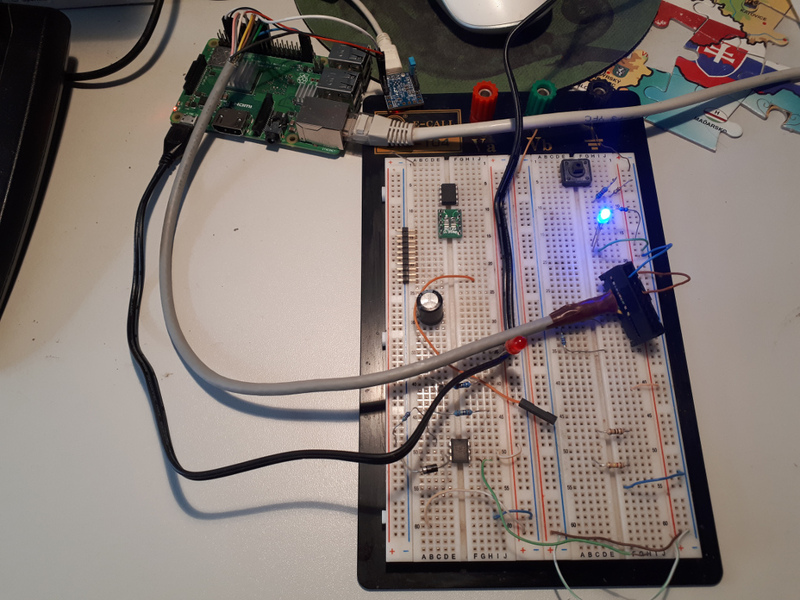 This is source-level debugging of the Linux kernel running on the Raspberry Pi, and I can start debugging kexec on panic using this interface. More on that in the next article. What J-link version are you using? This was a J-Link V8. Do you know if the “Edu” version would also work? Not sure what they mean. My setup is certainly not supported by Segger in any way, but if they said “it won’t work”, then they might be right.